← Late Japanese Sporting Drama! The combination of food and film usually conjures up images of an over-sized box of salty popcorn being consumed in a cinema but that’s not the only way of integrating the two. 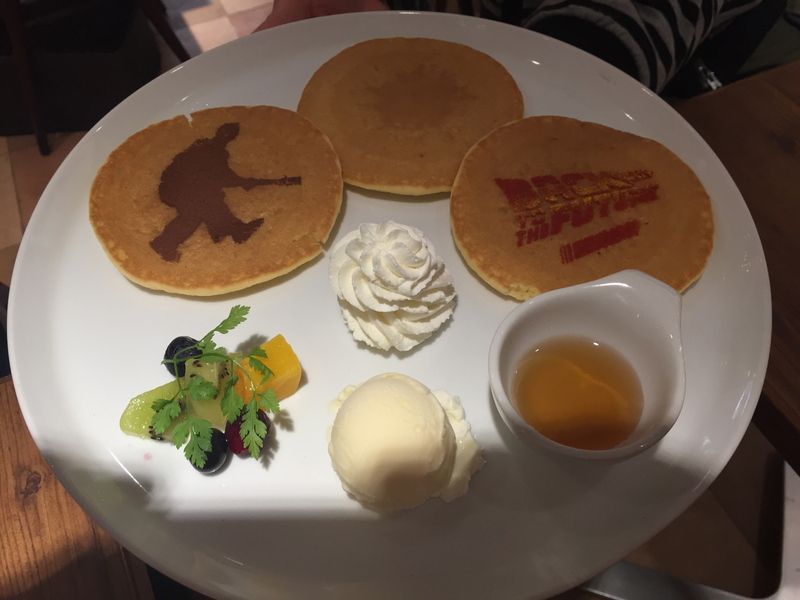 Among the many, many culinary delights of Tokyo city are some restaurants and places which have a connection with movies so here, in no particular order, is the Tokyo Fox top 10……Tokyo movie-related places to eat. 1. Lost In Translation (2003): Shabuzen @ 10-8 Kamiyamacho, Shibuya Creston Hotel B1, Shibuya-ku. Bob and Charlotte may not have been too impressed by this traditional shabu shabu and sukiyaki restaurant. They were shocked to discover that they had to grill their own meat! Don’t worry though as the staff are very helpful and friendly. A bit pricey but lunchtimes provide good value. More details here. 2. The Grudge (2004): Fungo Dining @ Nishishinjuku 6-16-7-1F, Shinjuku-ku. The restaurant in Nishi Shinjuku where Karen’s boyfriend Doug works part-time. Has some great lunch deals but beware that the salad bar is self service and you’re only allowed to go up once so best to pile it up first time. More details here. 3. Babel (2006): J-Pop Cafe @ Udagawacho, 31−2 Shibuya BEAM, Shibuya-ku. One of the three areas in this place is the atrium cafe where you can take some food and drink or with a group of a minimum of six people can order a buffet. More details here. 4. Forrest Gump (1994): Bubba Gump Restaurant @ LaQua 1F, 1-1-1 Kasuga, Bunkyo-ku and LaLaport, 2-4-9 Toyosu, Koto-ku. With a couple of locations throughout the city these themed restaurants inspired by the 1994 blockbuster serve up authentic real Deep South Cajun dishes. More details here. 5. The Toxic Avenger Part II (1989): Tenyasu Tsukudani @ Tsukuda 1-3-14, Chuo-ku. Meaning small seafood, meat or seaweed simmered in soy sauce this boutique appears with Japanese food critic Go Nagai making a cameo appearance where he’s giving a TV interview and says the food has magical powers and can attract beautiful women and before you know a woman’s clothes fall off and she stumbles into the interviewers lap and he thinks god has answered his call to meet a pretty lady. Tenyasu’s much-photographed wooden building is the oldest of the three tsukudani shops in the area and it had a steady stream of customers visiting it. It’s been open since 170 years ago and you can buy the stuff by measure. More details here. 6. Lost In Translation (2003): Ichikan @ 9-5 Daikanyama-cho, Shibuya-ku. Very expensive sushi place in the arty Daikanyama district. The chef featured in the movie is actually the restaurant’s owner. More details here. 7. Kill Bill (2004): Gonpachi @ Nishiazabu 1−13−11, Minato-ku. Serving as the inspiration for the ‘House of Blue Leaves’ this very nice, cavernous, rustic-themed place was not actually used for filming as a similar looking one was built on a soundstage in the studios in Beijing. This restaurant is very popular with tourists. It is fairly expensive but does have a good, cheap lunch menu deal and soon fills up. More details here. 8. The Ramen Girl (2008): Shin Yokohama Raumen Museum @ 2-14-21 Shinyokohama, Kohoku-ku. “There’s a ramen museum in Yokohama?! You’re kidding me!” are Abby’s (Brittany Murphy) words when her Japanese love interest asks her whether she’s been there. It claims to be the first food amusement park to be created anywhere in the world and possesses many different types of ramen from the different regions of Japan. More details here. 9. The Grudge (2004): Home Restaurant @ 1-15-9 Yoyogi, Shibuya-ku. The road supposedly leading to “The Grudge” house (built on a sound-stage at Toho Studios) is just outside Minami Shinjuku station on the Odakyu Line. At the start of the film we see Yoko cycling to the house down this street and a few scenes later Karen walks that way and stops a mother and young daughter (of whom the latter is scared of the foreigner!) to ask for directions. More details here. 10. WP Goldburger @ 1-9-4 Shibuya, Shibuya-ku. Not exactly a movie-themed restaurant but given that a few of the burgers are named after film-stars it just about qualifies! That and the fact that a tenth entry on this list is desperately needed! For the record, the burgers on offers are Whoopi Goldburger, Kevin Bacon-burger and Sarah Jessica Burger with the latter sounding a lot better when pronounced with a heavy katakana accent. More details here. Bonus: Traitoria Paradiso @ 3–1-1 Higashi Ikebukuro, Toshima-ku. 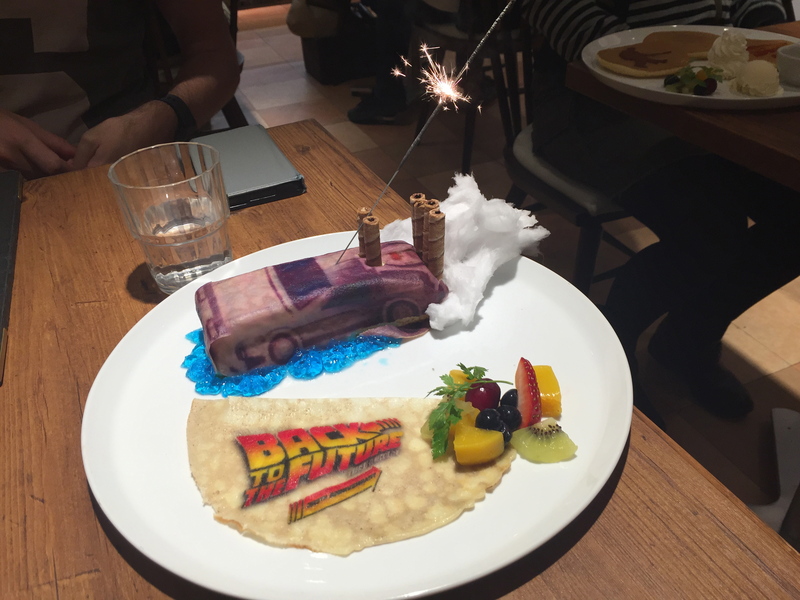 This ‘Back To The Future‘ cafe is a temporary themed place to mark the 30th anniversary of the original film and the date in the future which they arrive in “the future” in the first sequel. It is only open until 6th December 2015. More details here. 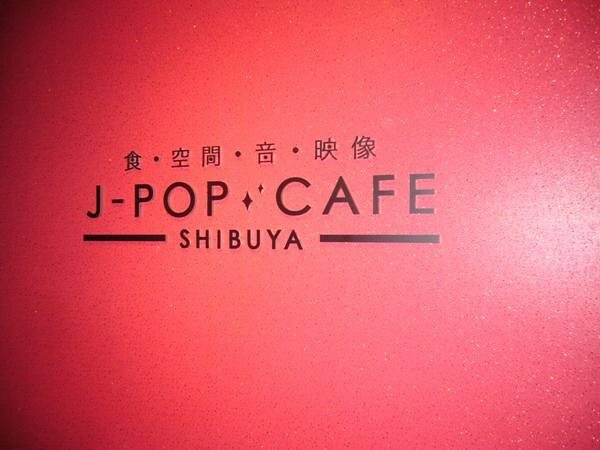 This entry was posted in Food & Drink, Japan Filming Locations, Movie Locations and tagged bubba gump shrimp co, fungo dining, gonpachi, Ichikan, j-pop cafe shibuya, shabuzen, shin yokohama raumen museum, Tenyasu, W.P Gold Burger. Bookmark the permalink. Yes! Ramen Girl made the list. Although sadly, as you reported, the actual ramen place is a flower shop this days, at least Shin Yokohama Raumen Museum made the list so Yeah! I question if James Bond ate at anyplace in Tokyo?